Richard attends most of the major bloodstock sales in England, Ireland, Germany and France from foals to yearlings, breeze-ups to horses in training and breeding stock. He is also able to assist with private sales and purchases and can help with bespoke orders. Richard can also source horses suitable for leasing and will negotiate terms and arrange formal lease agreements on your behalf. 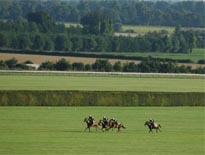 Should you need advice on any aspect of your racing interests, Richard Venn Bloodstock Limited offers a full service. Richard will advise on strategy with regards to buying and selling stock, as well as outlining racing programmes to ensure the maximum success. He will also help with trainer selection, insurance, matings, and the many other connected aspects of bloodstock management. Richard has had many years experience of running the very successful Not Over Big Partnership and can advise on any aspect of partnership or syndicate management. If you would like more information concerning the Not Over Big Partnership please contact Richard. Richard can provide specialised assistance should you need help with mating plans for your mares. 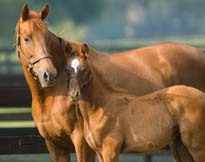 He offers independent and objective advice as to which stallion can help you achieve your goal. In the same sphere, Richard Venn Bloodstock will assist with the purchase or sale of stallion nominations obtaining the best deals available. Have a look at our Stallion Fee Card 2019 and current Nominations for Sale and then contact Richard for personalised advice. Richard will undertake valuations for clients on sale or purchase price. 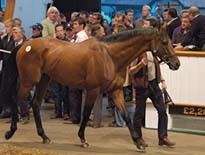 He can base his valuations on pedigree and race record with an inspection when required. He can also advise on value of horses for stock appraisals, probate purposes or in cases of legal dispute. Prices start from £100 for a basic valuation. Richard can obtain insurance cover on purchases at public auction from ‘fall of hammer’ if required. Should you wish to consider insurance for your purchase(s) Richard will be happy to advise you.